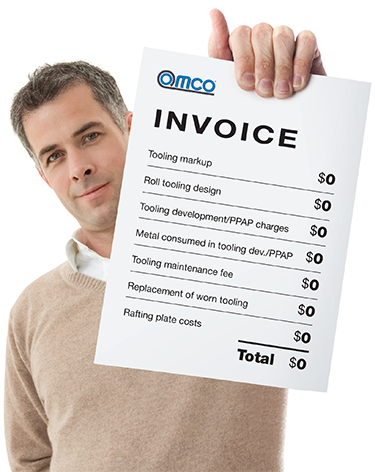 Your Roll Forming Tooling at OMCO; buy it once … then forget it! Tooling is produced at cost, with NO MARKUPS. The cost from our vendor is what you pay. We design our own roll tooling. We do not charge for this.